Welcome to Your Ultimate Festival Guide! 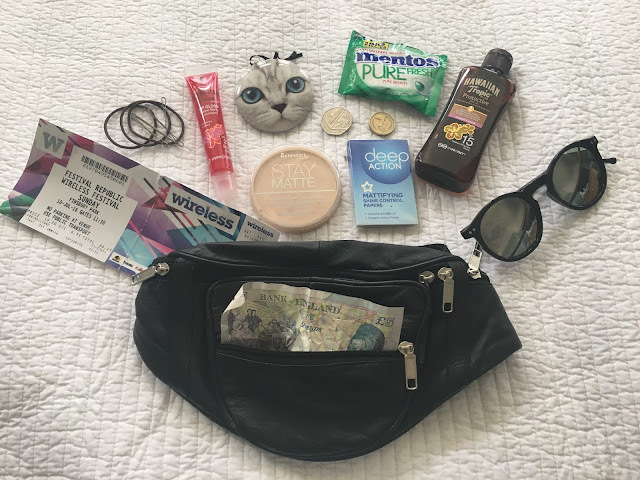 In today's post I am going share with you my travel essentials for a day festival! Last Sunday I spent the day at Wireless Festival 2016! I had an absolutely amazing day; the sun shone, the atmosphere was brilliant, and the acts were fantastic (especially BBK and Martin Garrix)! What makes the day even better is having with you the essentials that you need throughout the day; little items that always tend to come in handy! This is a blog post is a blog collaboration with two of my favourite bloggers, the beautiful Abigail from Lady Hunter, and the lovely Charlotte from Scarlett Slippers. They will each be doing their own post for Your Ultimate Festival Guide, focusing on fashion and beauty aspects of festivals! Be sure to check out their links below to read their posts on this collaboration, and now I will get on with the day festival essentials! When going to festivals you don't want to bring along with you your entire makeup collection so I have chosen a few beauty essentials to keep with you. Festivals are mostly on during the summer, and summer means more sun. More sun along with dancing, jumping and singing makes you very hot and sweaty. I find that it is always handy to keep a few mattifying products with me to keep my makeup in place. 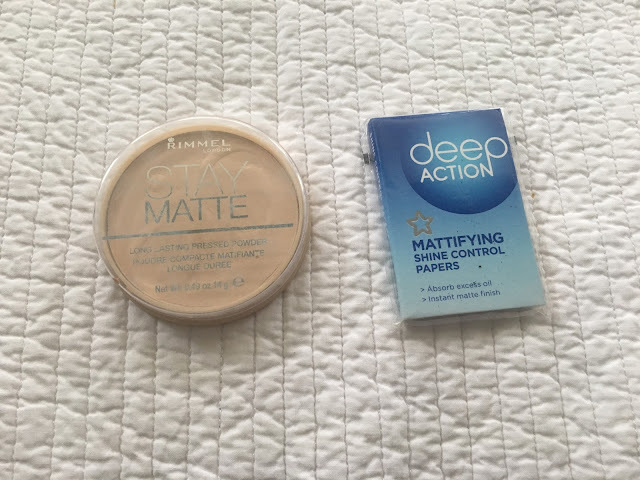 I took with me a small packet of Mattifying Shine Control Paper (which I bought from Superdrug) and Rimmel's Stay Matte Pressed Powder (and a small makeup brush of course) to keep my shiny face at bay. I also took with me a small compact mirror so I could keep an eye on how my face looked. 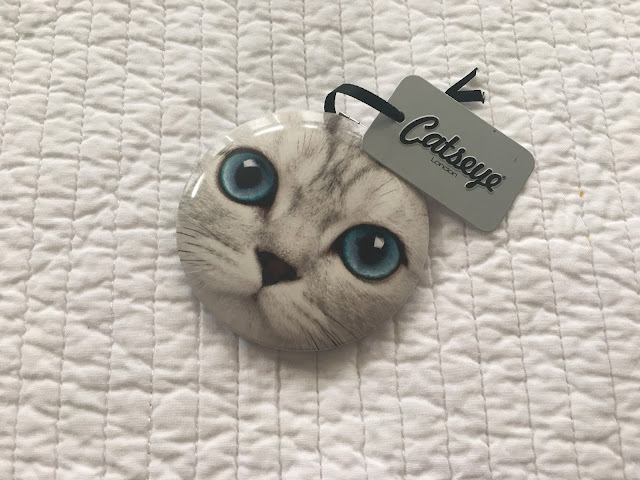 This is a super cute mirror with a cat design from Catseye which I love! It is always so important to stay protected from the sun so I would also take with you some sun protection products to keep your skin safe! 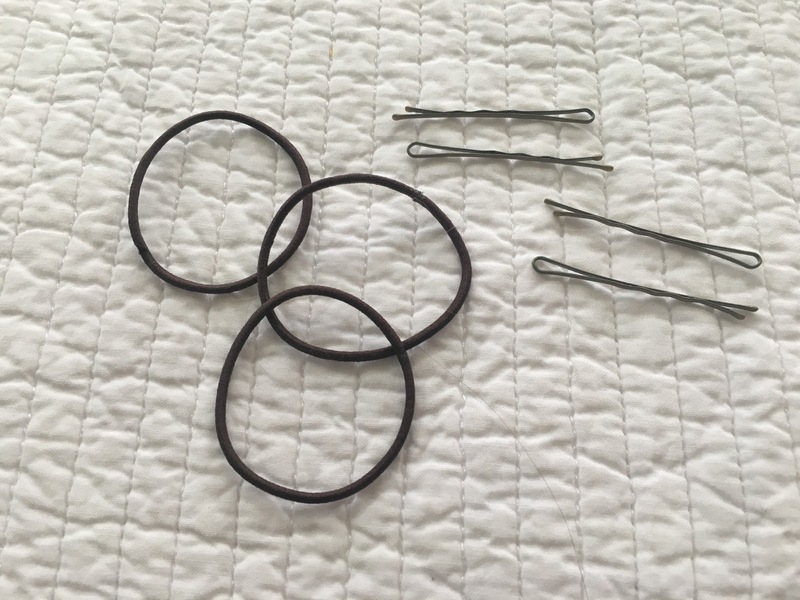 As it gets hotter and hotter I love to tie my hair up to cool down so shove a few bobby pins and bobbles in your bag too! Food is a definite necessity and I would recommend taking a few snacks with you to a festival. When I went to Wireless there was lots of choice for food; American, Chinese, Vegan, Mexican and many more, but the food is quite expensive. I wouldn't say that you should take in a massive banquet for you to eat, and I would in fact say that you should buy the food there for dinner as there is lots of choice. I do think that you should take some light snacks into the festival with you to tire you over until dinner so that you are not constantly buying snacks after snacks after snacks, and watching your money dwindle away! I took with me a bottle of water (lid not opened), and some coconut and pineapple popcorn (which is delicious). Water is great to bring with you to keep you hydrated, but ou must ensure that they lid has not been opened, otherwise they won't allow you to bring it in. I made sure I had eaten lunch beforehand so I just bought a burger there for my dinner! After eating all that food, why not take along a packet of chewing gum to freshen up? Of course you must take with you your ticket for the festival you are going to, along with your travel ticket, money, bank card; and remember to take your ID with you too! You don't want to take too many valuables with you in case you lose them, or they get stolen. I would recommend not taking a camera and using your phone to take photos instead. I have an IPhone 6s and I am always so impressed with the quality of photographs and videos, and so I don't bother bringing a camera too. I would also recommend that you download a festival app, as many festivals provide them now. The Wireless app included schedules, maps, festival information and act information - it became very helpful! Sunglasses are another basic festival essential! This gorgeous black classic mirrored pair are from Coconut Lane. They are my favourite pair of sunglasses at the moment, and they are totally affordable so you don't have to worry if they fall off or get lost. You can also get 20% off all Coconut Lane items with the discount code lilyrose20 so why not treat yourself? Go on! The ultimate life savers for me at festivals are wet wipes! Easiest the worst thing about festivals are the toilets. 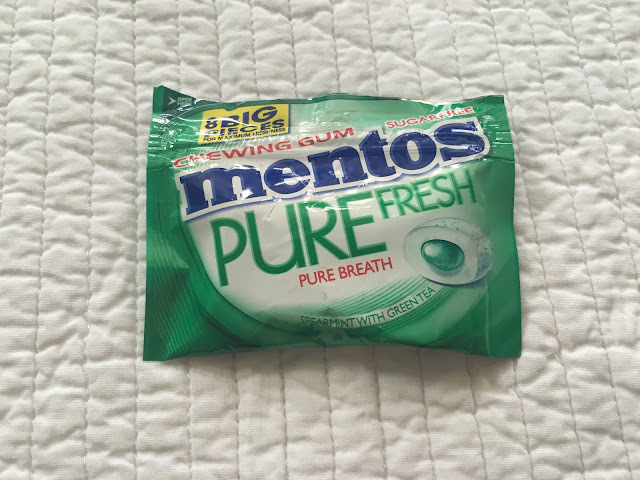 I don't trust the antibacterial gel provided in each portaloo, so in order to keep feeling clean I always wiped my hands with these gentle antibacterial wipes. They also come in handy if you spill things or if things get thrown at you in the crowd or if you get muddy - festivals are very messy places (trust me)! So I needed something to hold all of these festival essentials. I didn't want to wear a rucksack because of the increased risk of pickpockets, and I didn't want to take a big shoulder or handbag because I wanted to be free to dance and jump about in the crowds. I opted for a bum bag and just ordered a plain black leather one from Ebay for about £5 and it worked brilliantly! It fitted all of my items in it and I keep it close to me so that I could keep an eye on my valuables - perfect! This was my first time wearing a bum bag and it was such a weird feeling. It felt like I didn't have anything with me or that I was missing or forgetting something haha! I would definitely recommend anyone going to a festival to wear a bum bag because I generally couldn't imagine wearing anything else! Have you got any other day festival essentials? Please check out Abigail and Charlotte's links below to their blogs to read the rest of 'Your Ultimate Festival Guide'. I thoroughly enjoyed completing this collaboration, and I hope you have enjoyed it too!